Sorry everyone! I jumped the gun on my Yellowstone cleaning post. Turns out I have a few more featured posts from Yellowstone that I had already worked up the images for. I was combing through my post catalog and noticed there were still entries labeled as “draft”! Nothing like doing all the work in the darkroom and then forgetting to publish them. So, without further delay, here are some pictures of the Mule Deer hanging out in the park. 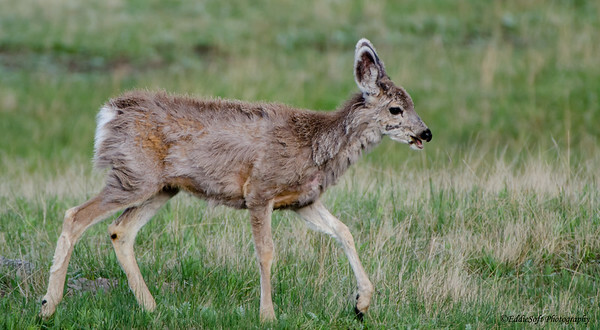 Not just any Mule Deer, BABY Mule Deer. I remember working this up for my recent offspring series. We must have hit the season perfectly for newborns out there based on the variety of shots we came home with. This little guy or gal was spotted across the street from where the Badger was spotted (link here). 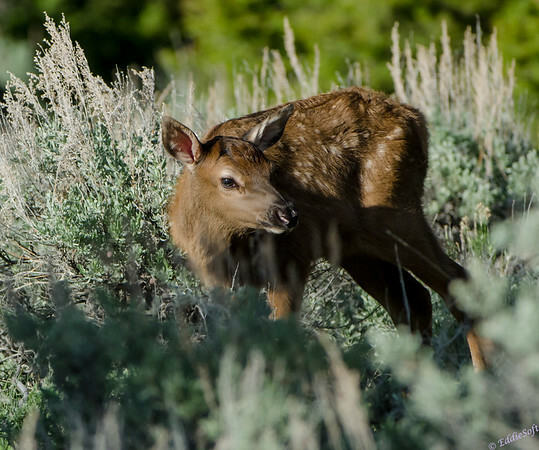 Hit the jump to view a few more shots of this young Mule Deer. I must admit I’m mentally drained at the moment. For the last two days, I’ve been attending a presentation skills class. That translates to 2 days of being videotaped giving presentations, getting critiqued by the instructor and peers topped off by a self assessment by watching your video. There’s the concept of being outside of one’s comfort zone, but stepping out to Pluto is a better analogy at this point. Now that it is over, I can say I did learned a lot (and absolutely confirmed I dislike watching myself on video!). This will take some work to implement in the field but the hard part is over. Since there is not much left of me at the moment, figured it was a perfect time to start clearing out the Yellowstone pictures. Today’s post will be more of a dump of pictures that didn’t warrant their own post, but thought you might enjoy viewing the other sights found at our favorite National Park. Let’s start with an interesting pairing. 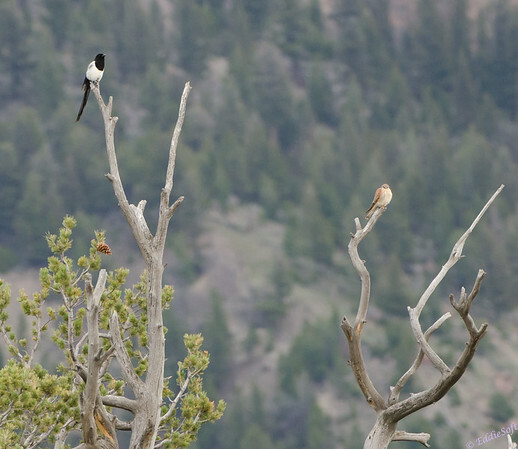 That would be a Magpie and a Kestrel hanging out on a dead tree. Two meat eaters enjoying the day while talking about the best ways to marinate a dead mouse. The next bird is no stranger to this blog. 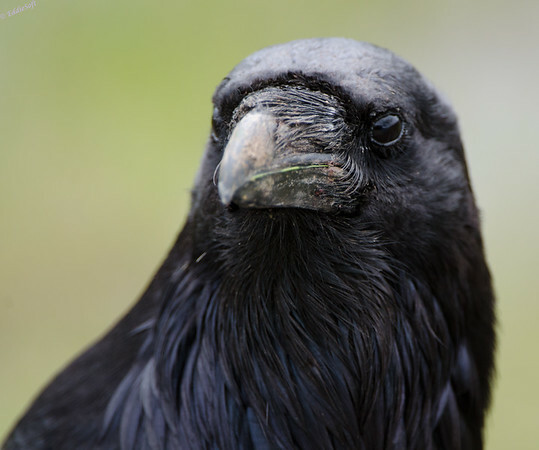 There is something about those Ravens that have always intrigued me. Thinking it might have something to do with the wide variety of expressions they display. Either that, or the fact they are so damn huge – and therefore have little fear when The Beast gets pointed in their direction. So above is the stoic portrait. 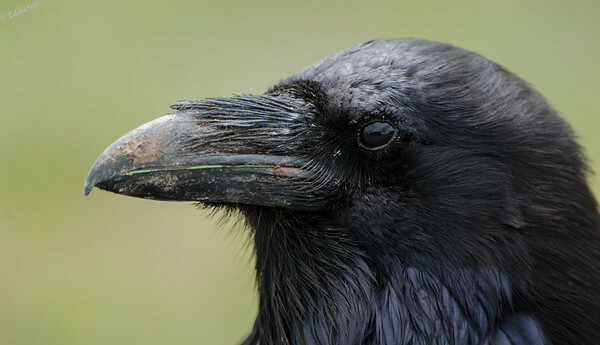 Below is the classic side profile which gives an excellent view of the hairs at the base of their daunting beaks. Hit the jump to see some more pictures from Yellowstone. In honor of my birthday, I th0ught it might be fitting to add another chapter in the “Newborn” series. I’ve covered newbies from a number of the animal kingdom over the last two months including Bison (link here), Pronghorn (link here) and even Bear (link here). Today I get to add these..
Isn’t she .. well to be honest, it could be a he but “it” just sounds too cold for such a cutie. 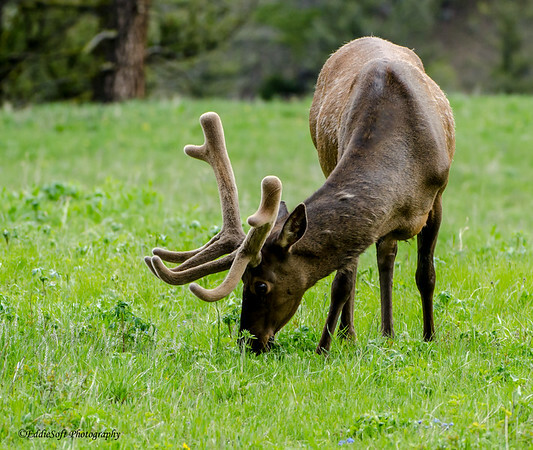 This young Wapiti (or Elk depending on your preference) was photographed while on our trip out to Yellowstone National Park back in May 2013. I am not studied up on these creatures beyond what is available in Wikipedia and such, so it is impossible for me to tell you how old she might be for sure. A quick search on the web indicated they give birth in late May and early June. Our trip out there was the end of May and first few days of June so this one was at most a week and likely less. They will lose their spots at the end of Summer. To be honest, this shoot was at first exhilarating and then gave way to some serious concern. I had climbed up a small hill off the side of the road hoping the higher vantage point might give way to some interesting subjects. After looking around for bit, a rustling sound came from 50 or so yards away. After about 5 or 10 minutes of trying to stand as still as possible, this newborn came walking out from among the brush. That is the part that fits the exhilarating aspect – heart rate goes up, the camera goes up and the finger goes down on the shutter. 5 minutes later my brain kicked in and reminded me this could be a dangerous setting. Heart rate goes up, finger comes off shutter head swivels. 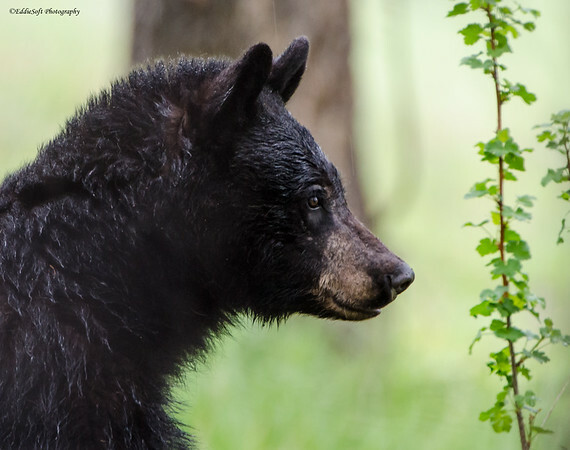 Wildlife is no different than us – get too near the babies and the moms get understandably anxious – there are plenty of lessons to be had just checking out the Bear tragedies that occur out there from unexpected encounters with cubs. The fact I was alone only added to the concern. A few parting shots and I got the hell out of there! (never did see the doe, but can’t imagine it was too far away). 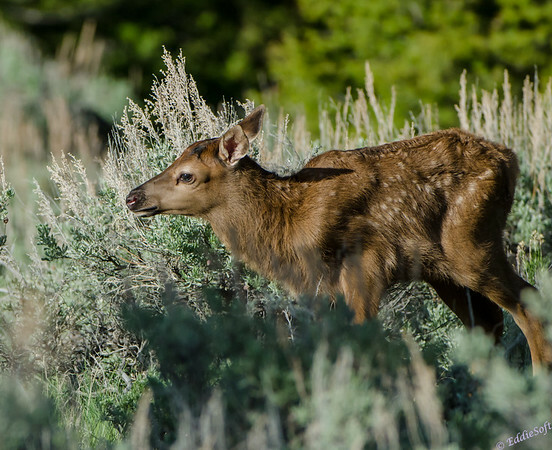 Hit the jump to see more pictures of the Elk of Yellowstone – and even shots of a younger calf! 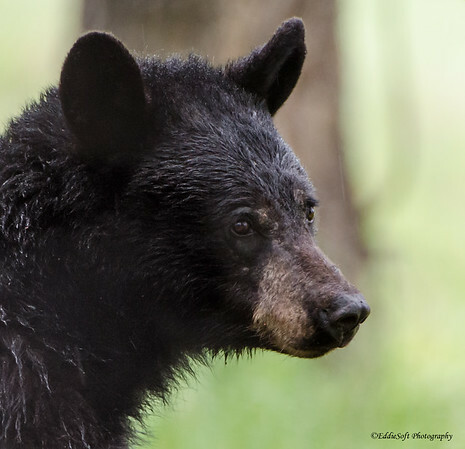 As foretold, I am back with another post featuring a Black Bear. I am changing it up a bit. 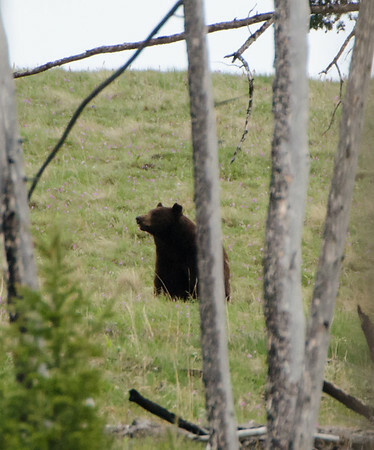 This is not a Bear we encountered at Yellowstone National Park back in May of 2013. Nope, nothing of the sorts. 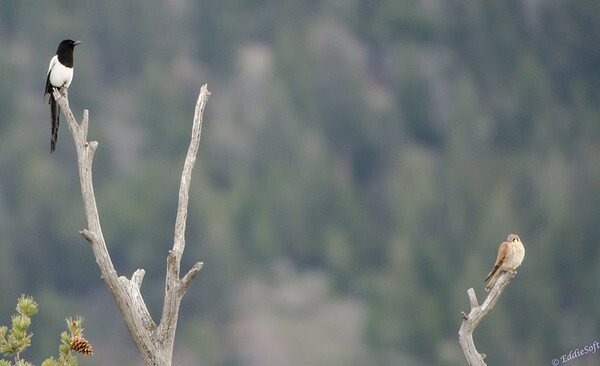 This fine specimen was actually taken at the Grand Tetons. We headed down to the Tetons after our Yellowstone visit on our homeward leg of the vacation. 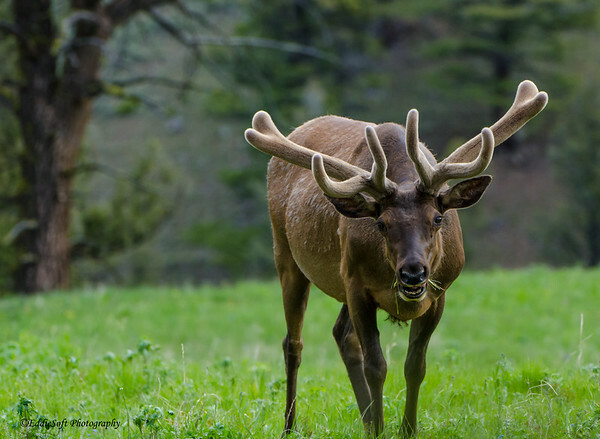 From a wildlife perspective, the Tetons have never really given us much to put in our tins. 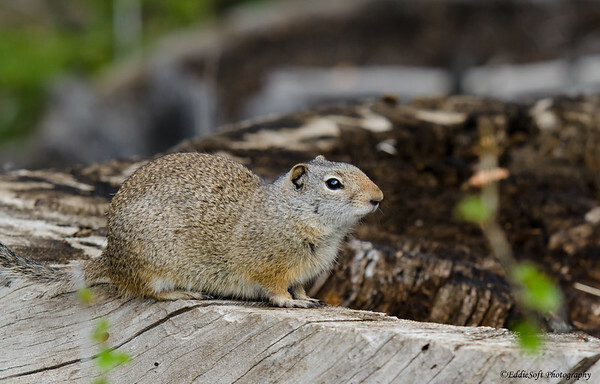 We did get a Moose during one of our visits, but beyond that, that park has rarely offered up anything in the mammal category worth talking about.. much less adding to our gallery. That changed in a significant way on this trip. Hit the jump to read an interesting story about this encounter! Did I mention I have a lot of bear pictures? No, oh, guess what? I have a lot of bear pictures from our trip out to Yellowstone National Park. So many pictures that it has taken me since May 2013 to get them processed and suitable for viewing. No picture shall be served before it’s time. Just kidding, I didn’t get to processing these shots until the recent holiday break. I ended up getting overwhelmed with other projects that caused the backlog. To help make up for that, I’m trying to blast through these Yellowstone posts as fast as I can – as if you didn’t already noticed this based on the flood of posts that came from that trip. Today marks the last day of our holiday vacation. Back to the grind tomorrow morning .. at least until the 18th. Decided it was probably prudent to get posts out while I still had some free time. New year, new job role, new organization likely means a lot of time spent getting up to speed on new responsibilities while putting a bow on previous efforts. All that has a way of digging into my free time – couple that with new Arduino, 3D Printing and Halloween projects and you have a recipe for missing post quotas. So with that, I bring you another post in the current theme of wildlife babies. See that Black Bear in the shot above? 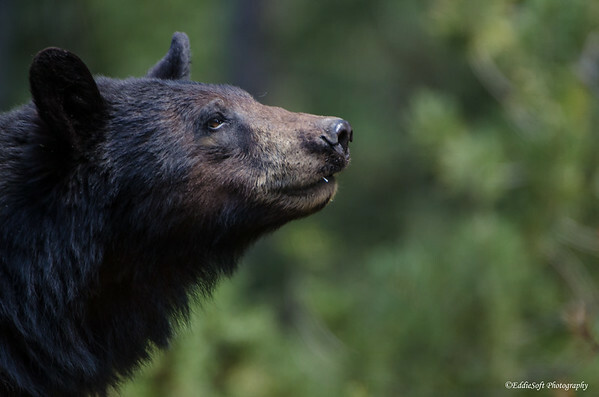 – hint, it is the one sporting the cinnamon coloring, but still classified as a Black Bear. That would be a female (that is my guess based on my memory of the situation in which the shot was taken). As with the previous batches of posts, this shoot came from the Yellowstone National Park trip back in May 2013. Things have started to cloud a bit but almost certain that is the female (for reasons that will be apparent in a minute). 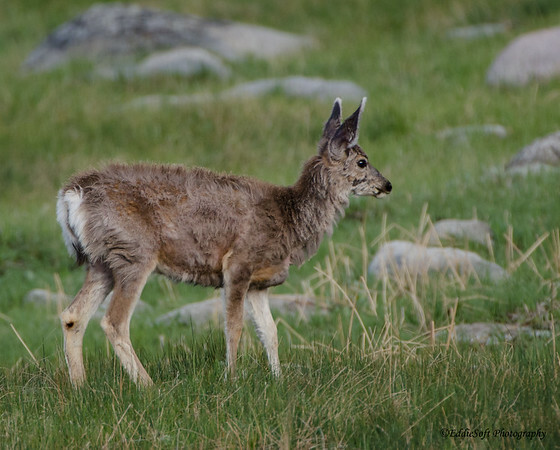 Notice how she is intently scanning the woods – very similar to the alertness the Pronghorn doe was employing to keep a watchful eye for her fawn predators (link here). 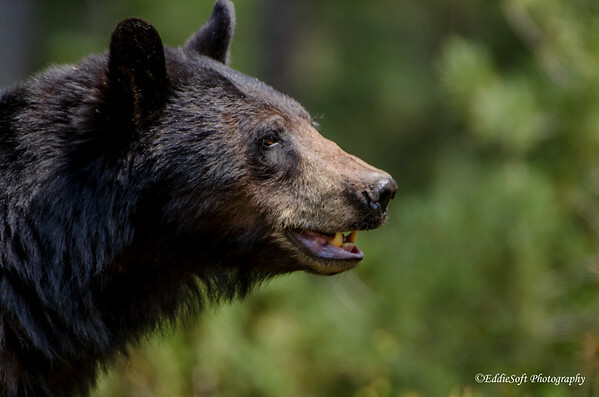 Turns out she wasn’t the only Black Bear in the area. Find out how this turns out by hitting the jump! 2015 is on its last hours. The sun is retreating for the last time in 2015 making way for a night of celebration as we bring in 2016. All things considered, I will not miss this year very much and more than relieved to let this year go thanks to a myriad of tough times from family medical discoveries, work stress and the loss of our beloved Kerby. There were some bright spots like the running production, additions to the bird count and a number of projects I’ve shared throughout the course of the year which will likely be touched up on in my year in review post. Thought I’d close out this year with a topic I set up from the last post. Babies! The Buffalo young carry with them a certain amount of … ummm let’s go with size. That size gives them a definite advantage in the endless struggle for survival in the wild. That also means they are surrounded by even larger mothers and fathers capable of inflicting serious paybacks should any predator decide to test their skills. 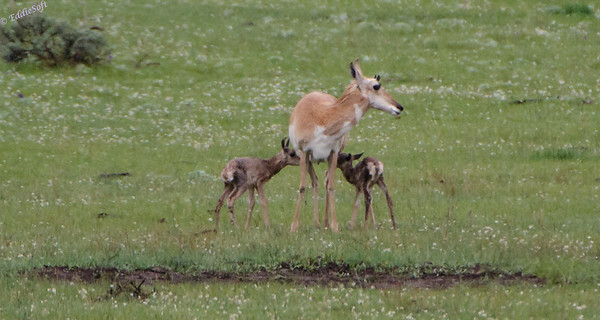 This is a stark contrast to the life of a Pronghorn. 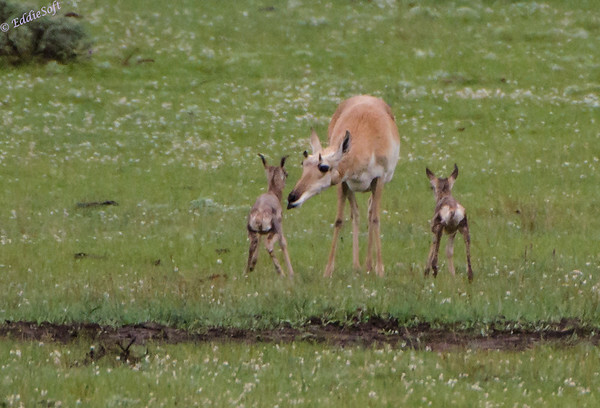 Hit the jump to see more pictures of the Pronghorn doe and her two cute newborns. If you haven’t noticed yet, Linda and I have a few days off from work to enjoy the holidays. What better way to celebrate extra free time than cranking out posts! 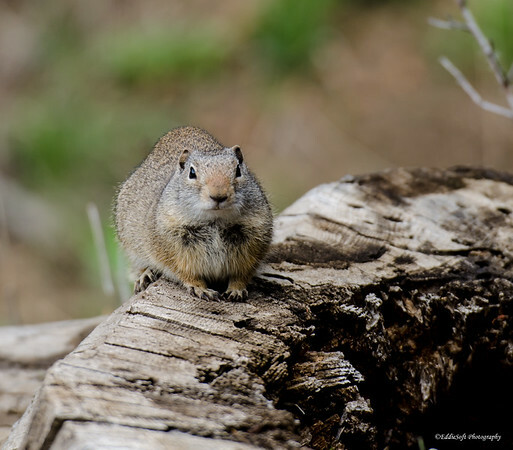 This month I was able to bring you little birds, big birds, big squirrels and bigger squirrels. Now it is time to step up the weight a bit and bring you some of the larger shoots from the Yellowstone National Park trip back in May 2015. 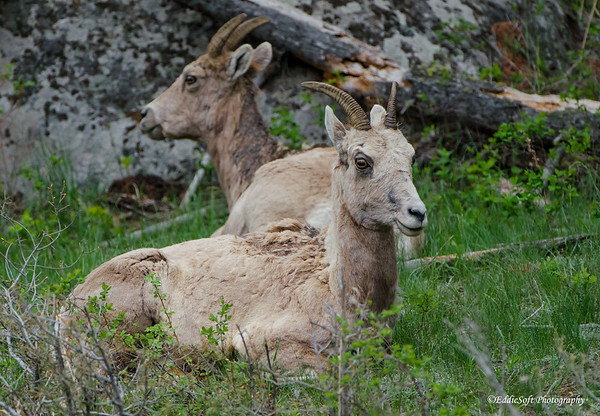 Today we feature Big Horn Sheep. I did some quick reading up on them to see if I could accurately tell you whether these were all rams are ewes seeing as none of the subjects I opted to use in this post have the more telltale feature of the full curved horns. The females also possess horns but as stated by our friends over at Wikipedia, they are not as prominent and only slightly curved compared to their adult male counterparts. 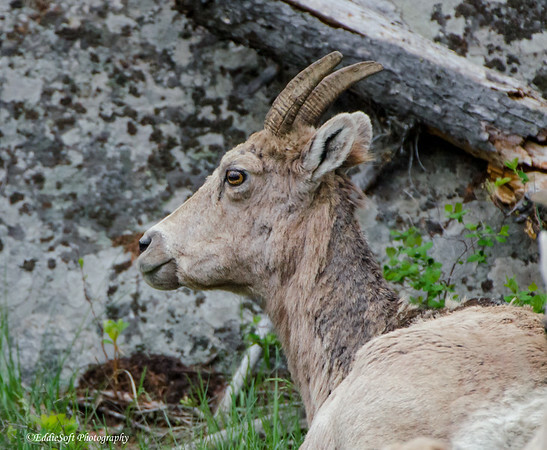 Hit the jump to see a lot more pictures of the Big Horn Sheep from Yellowstone!